Tour Guides- Do you want to work and travel? This could be your dream job. Bindlestiff Tours is a small group adventure tour company based in Las Vegas specializing in single, multi-day and private custom tours of the national parks in the Southwest USA, California and Alaska. The average multi day tour length is 3 days however we do offer several 7 and 21 day tours throughout the season. Mix of lodging and camping. 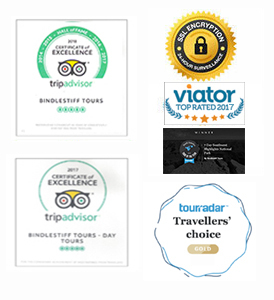 With over 20 years of combined experience in the industry, we pride ourselves on having the best tour guides, highest quality equipment and top notch itineraries. We have created a fun and flexible work environment for individuals who have a passion for the outdoors both on and off the road. Bindlestiff Tours is looking for reliable and organized individuals with a passion for the national parks for our 2019 season. Guides are driver/guides and responsibilities include driving a 15-passenger van or a 7-passenger van depending on the group size. Multi day tours require you to be comfortable towing a 5×8′ cargo trailer. We expect a high level of area knowledge and guides are required to deliver in depth geology, history, flora, fauna etc commentary through headsets whilst driving. Other responsibilities include handling group dynamics, food shopping and cooking, planning and problem solving on the road, maintaining outdoor equipment, accounting and paperwork pre and post tour and ensuring a safe and fun experience for all our clients. You should have strong leadership and motivational skills, have a passion for the outdoors, be able to multi-task and possess exceptional people skills. Due to insurance restrictions all drivers must be at least 23 years of age and have a Class B Commercial Drivers license with Passenger Endorsements. Note: If you have a Nevada state issued incense then no commercial driver license is required. Applicants must have a clean driving record, first aid and CPR certificate. Must be able to pass a drug test and physical and be available April- Oct. 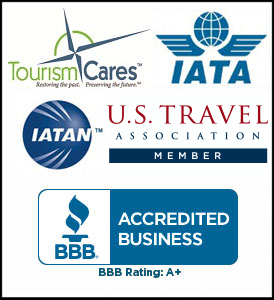 Please send a cover letter and resume to info@bindlestifftours.com with the title Tour Guide 2019.